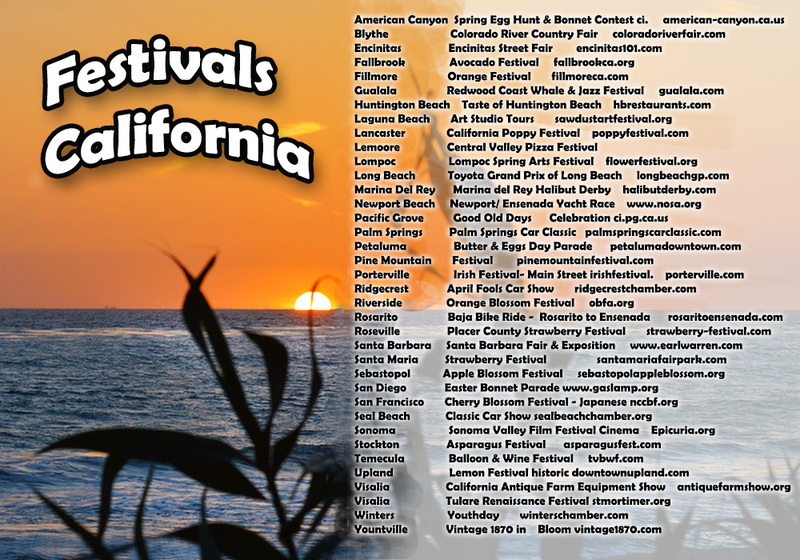 Here is a list of festivals held in California. We have been to qiote a few and they are always a great time!! !